Spiral 18 stories through a dramatic history of communication. Judi Dench is your narrator on this journey through time as you discover the evolution of human communication, dating all the way back to the cavemen of the prehistoric ages. As you board this slow moving omnimover and begin the initial ascent, your photo will be taken and the interactive touch screen in your car will ask you a few questions. As you make your way through different scenes, you will discover how communication evolved from cave paintings all the way up to modern computers and personal communication systems. At the top of the Geosphere, you get a view of the universe projected on the ceiling. At this point your car reverses and you ride backwards towards your starting point. On the way down, you will be asked to make some choices about your future, and a brief cartoon will play featuring YOU! At the conclusion of the ride, you will be deposited into Project Tomorrow, a learning and activity center with hands on games and exhibits to explore the future. 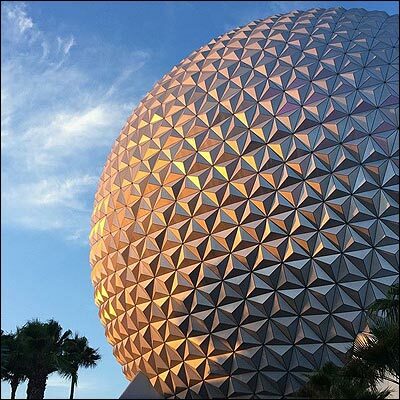 Spaceship Earth's 16-million-pound, 180-foot-high geosphere has been recognized as Future World's dominant landmark since the opening of Epcot in 1982.This is fascinating ride not to be missed. 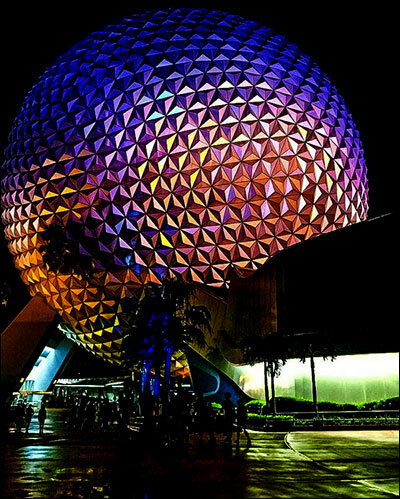 Interactive Activity Center at the conclusion of Spaceship Earth. This area features hands on games and learning activities with a slant towards learning how to make the world a better place, now and in the future, using technology pioneered by Siemens. Be sure to look up at the giant global screen and watch your face "jump" to your home location. 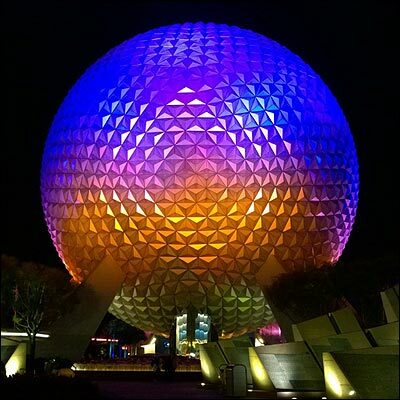 In addition, you can email your Spaceship Earth photo and video to yourself or family and friends from kiosks here. Super Driver: This driving simulation video game showcases the accident avoidance technology being developed by Siemens. Power City: Learn how to responsibly manage power in a growing city.